How File Manager looked back in Windows for Workgroups 3.11. There’s an ‘original’ version based from the source code to produce the copy found in Windows NT 4.0, with only minor modifications to compile and execute on modern Windows. Then there’s the ‘V10’ version offering a number of enhancements added incrementally since 2007, more from a usability point of view, instead of major features. 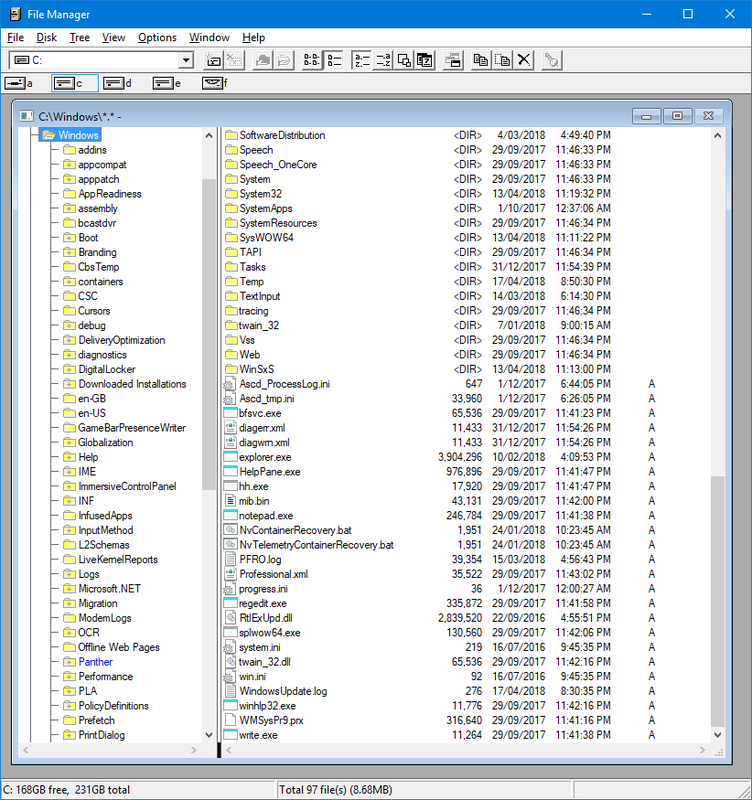 This included being able to open the Command Prompt from the highlighted directory (folder) location, and improved icon representation of the files shown. Accessing files from a UNC network path, instead of mapping to a drive letter would be my personal preferred option as a feature. 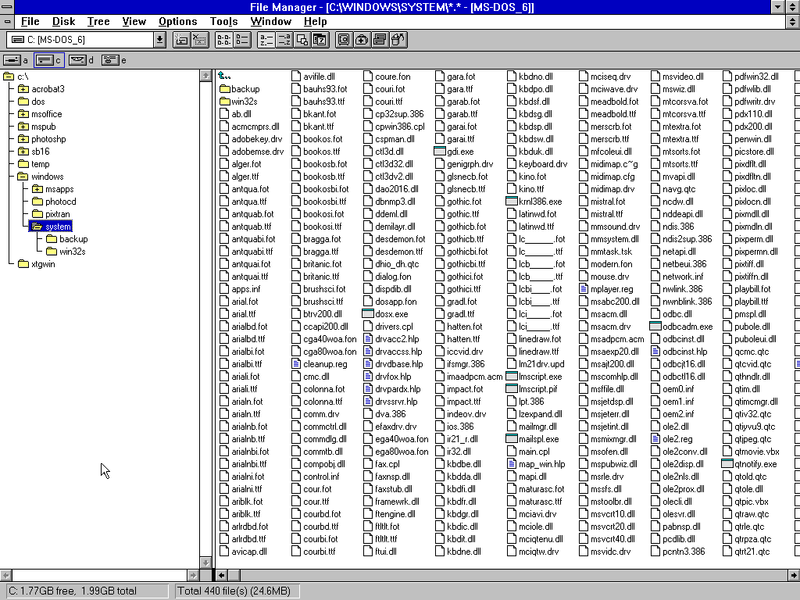 The ‘V10’ version also includes the original CHM help file straight from Windows 98, although it regularly mentions to select the Help button whilst in a dialog box for further information. Not useful here as selecting a Help button will simply take you to the Microsoft Support site regarding the inability to display old Windows Help files. Also note that File Manager is best run with administrative access, if you actually wish to modify or delete files in more sensitive locations around your drive for example. Still it’s a novelty to see File Manager accessing a 4 TB hard disk with files displayed in a billion bytes! ‘V10’ File Manager on Windows 10.